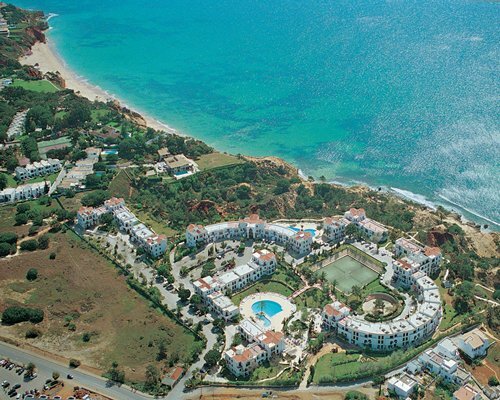 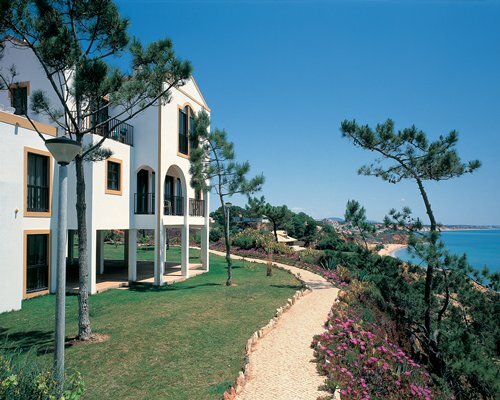 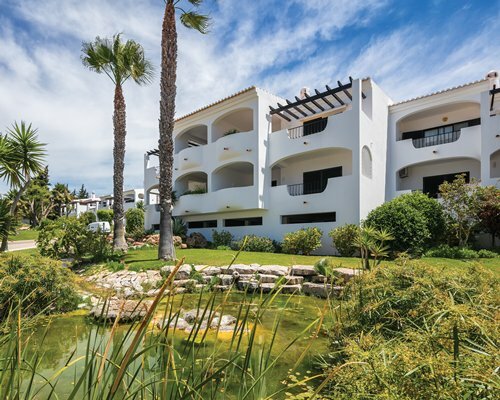 Alfagar Village is situated on the top of an ocean cliff with private access to the beautiful Santa Eulalia beach - via steps. 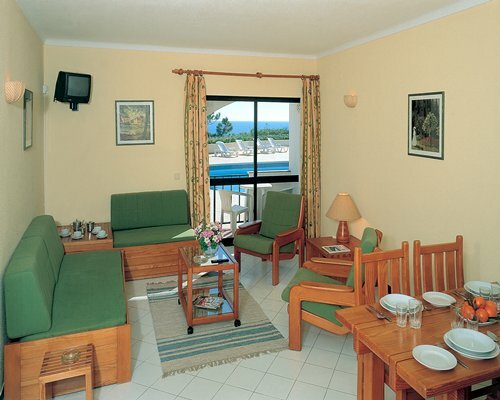 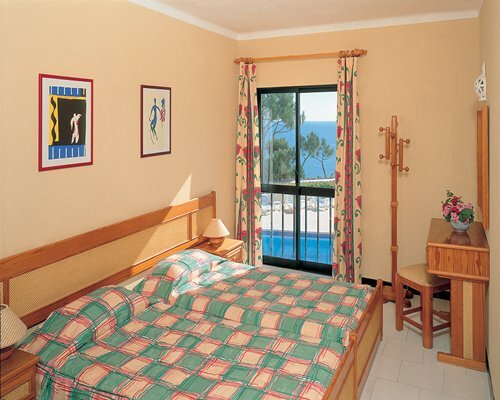 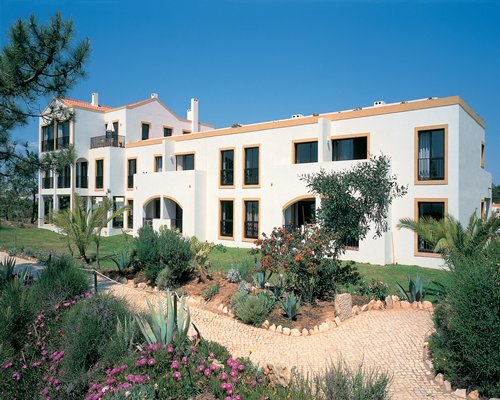 The resort is located in a quiet area with beautiful gardens. 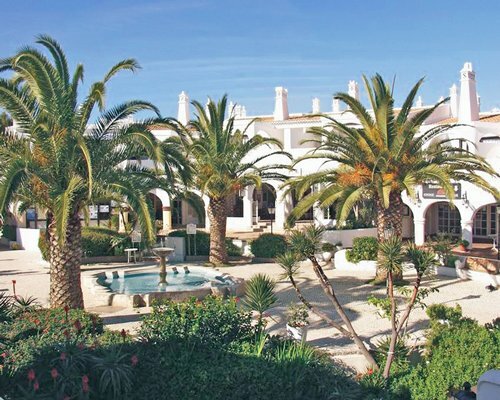 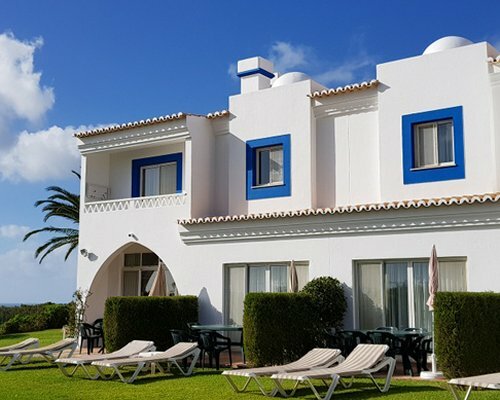 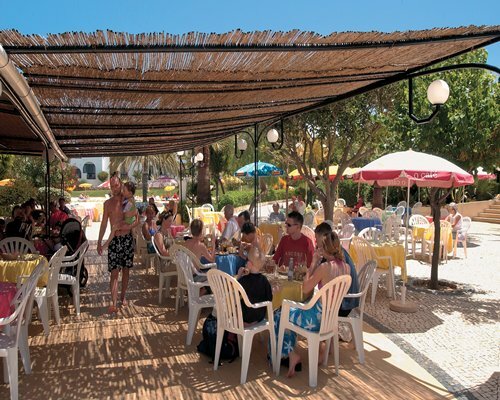 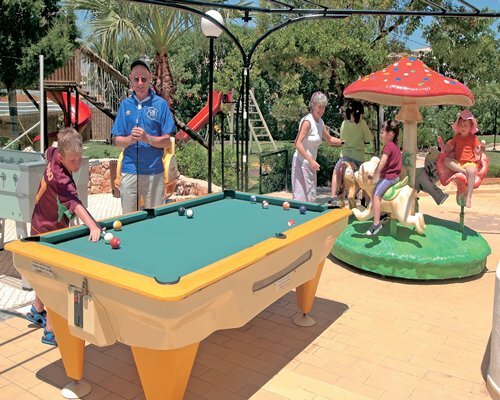 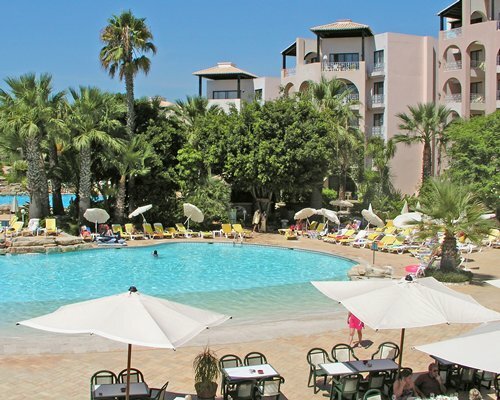 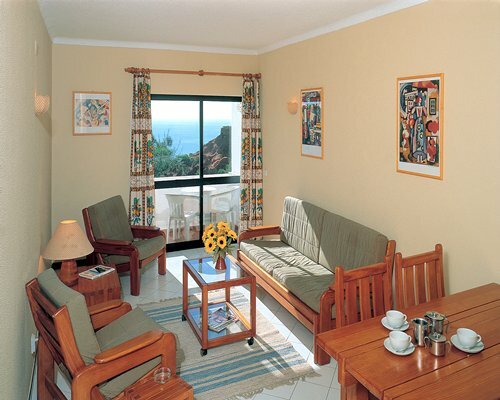 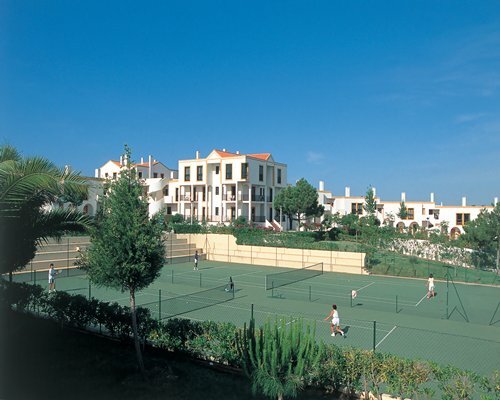 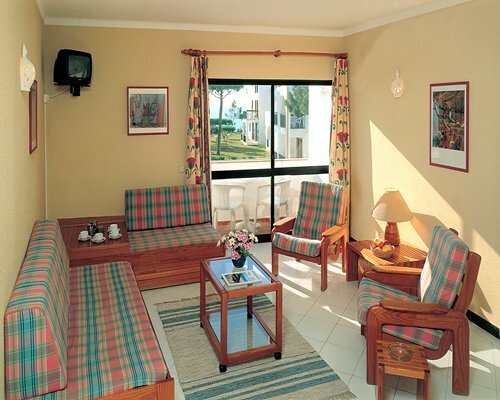 Facilities on-site include 24-hour reception, restaurant, snack bar, supermarket, two tennis courts, swimming pools, a playground, game rooms, entertainment and a shuttle bus to and from Albufeira. 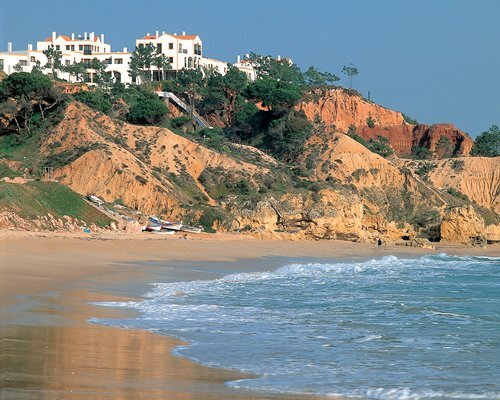 Alternatively, you can enjoy a picturesque coastal walk along the cliffs into town, with panoramic ocean views. 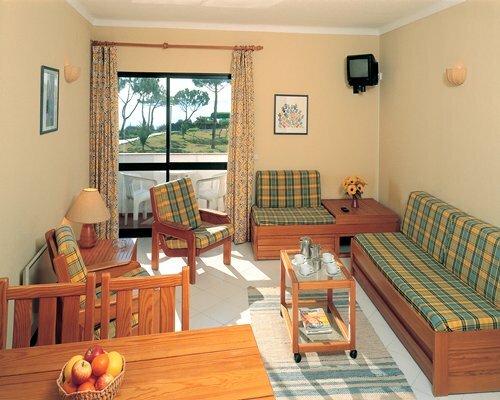 The apartments are bright and spacious. 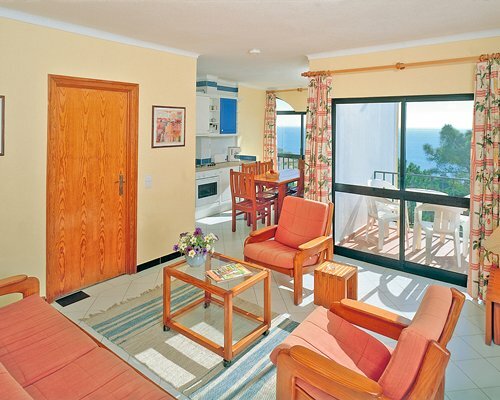 Units have a dining area with open kitchen with electric rings, electric oven, electric kettle, toaster and coffee machine. 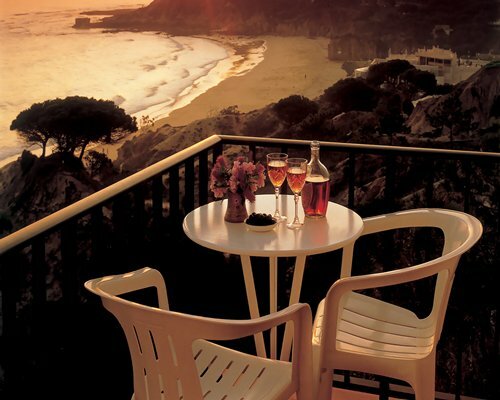 The furnished unit balconies overlook the garden or the ocean.